My main problem is I cannot throw away good plants, or good potential plants. Need to prune the dappled willow? Let's stick the cuttings in the ground and see if they root. 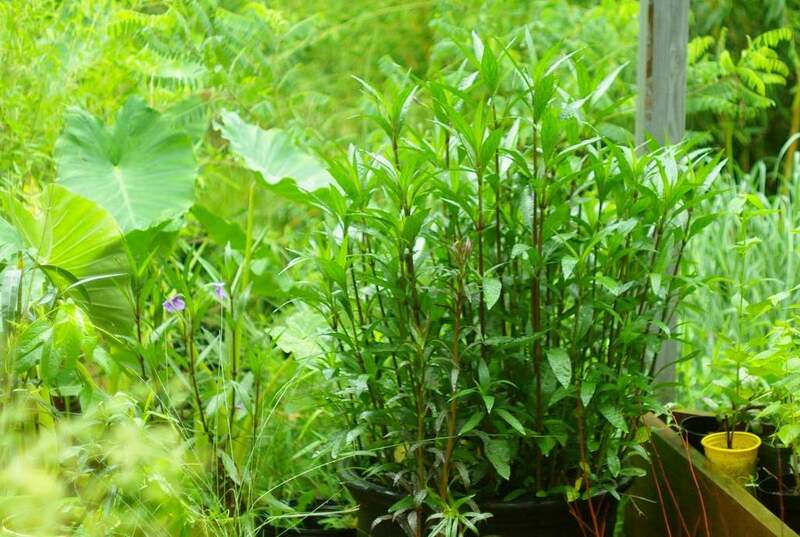 Next thing you know I have half a dozen dappled willows in pots. Planted extra castor beans in case something happened to some of them, but they all survived and now I've got extras. Clear a planting bed and pot up the existing plants "for future use" but "the future" is not here yet. Before I realize it, I have way too many plants. 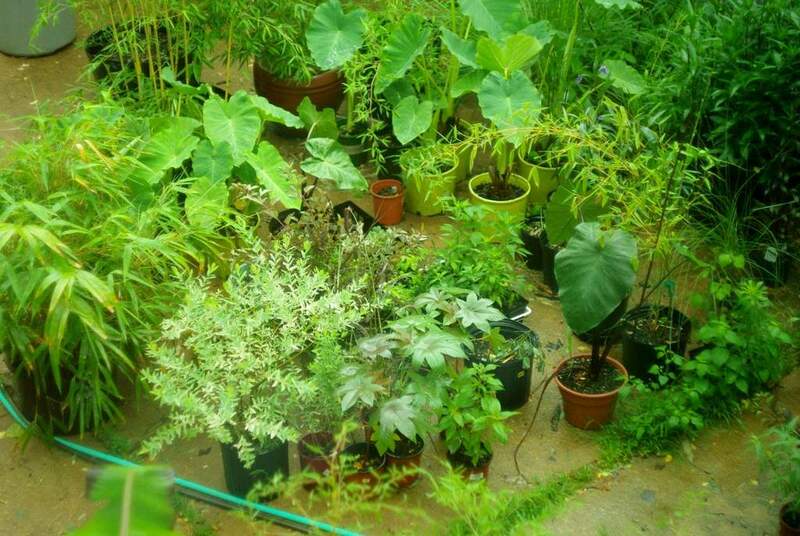 Elephant ears multiply on their own, and now I have ten or more large Colocasia that I don't know what to do with. I've given away several, but there are plenty left. This is just one section of the driveway. There are plants to the left and right too -- although those on the right are not technically on the driveway. 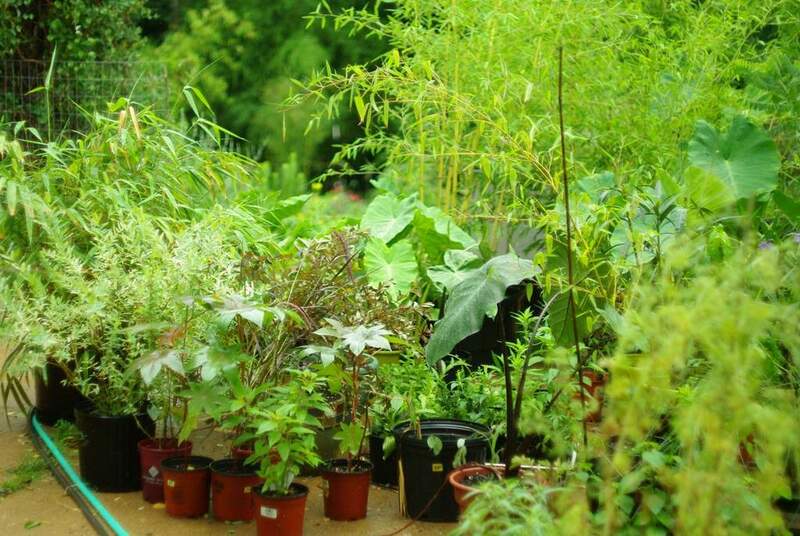 There are plenty of bamboos too, many from rhizome prunings I did last year and earlier this year. 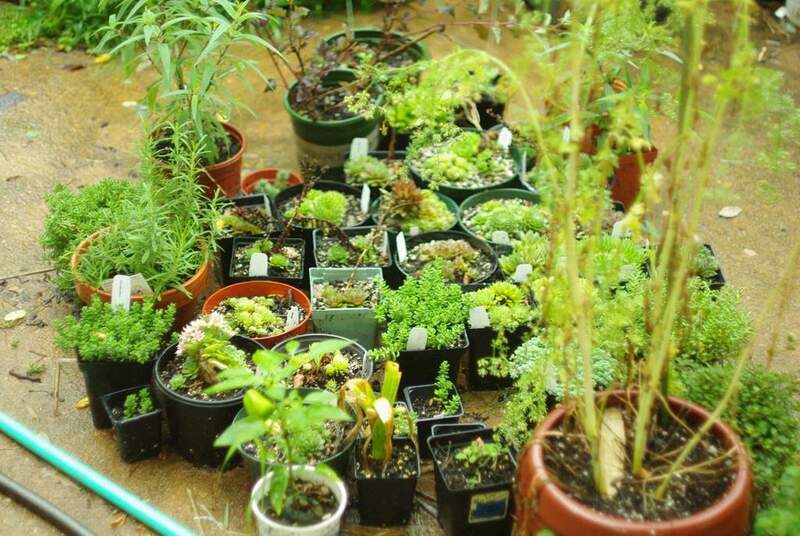 I've been able to sell a few plants here and there, and have given away plenty too. There always seems to be more though. They were one of my favorite new plants last year, and besides overwintering dormant in the garage just fine, every cutting I took from them (in case the main plant didn't survive the garage time) rooted easily and is growing strong now. I had great plans for these: I was going to create an awesomely textured succulent bed. But then the deer ate one of the plants I had set out there as a test -- I had no idea deer would eat sempervivum, but apparently at least one of them that frequents my yard does. So now I need a new plan for these. I've got some ideas, but until I can implement them, on the driveway they stay. I have a feeling that summer will be just about over by the time I get these plants cleared. 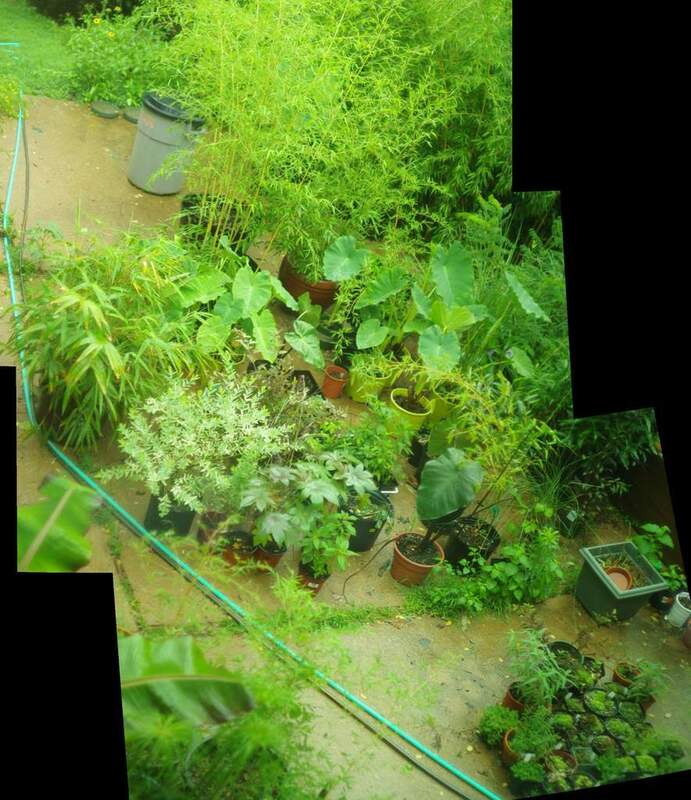 For now though, I'll look on the bright side: I'd rather be looking at a miniature jungle of plants than hot, bare concrete all summer! I love your driveway. It looks better than most yards I see. Seriously. 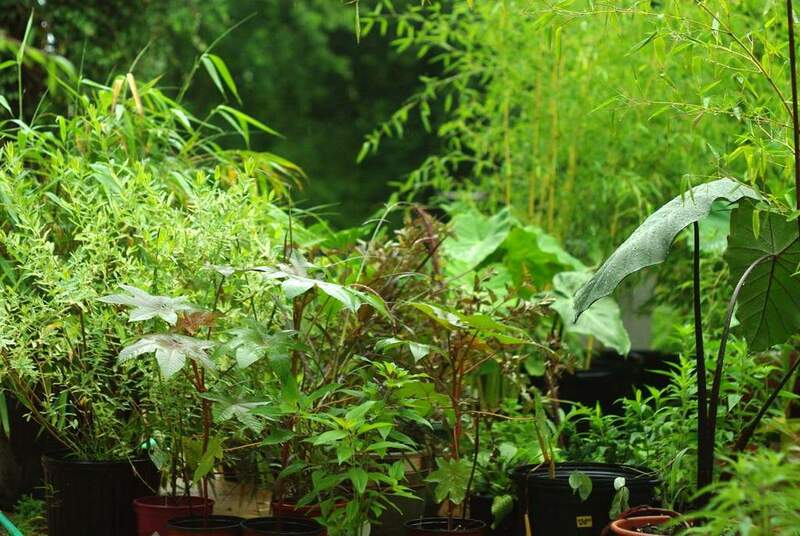 You could have a plant sale and make some $$$ towards buying more plants.